About me. Where I came from. Who I am. Who I am is in everything that I do. It's in my speeches, and it's in my writing, and in how I direct movies and work with people. If you hire me to do a speech, you will be getting a real speech. Actors like working with me. I have not attempted to be literary, and most of the sentences will start with "I"! I was raised in a dysfunctional family in a rural setting on a small farm. My mother wanted an abortion, but here I am. I was emotionally, physically and sexually abused. Some of the abuse included being terrorized with a knife, being held with my face in a fire, and being held upside down by my ankles over the railing of a suspension bridge. I was held underwater and I thought I would drown, and another time thrown into a pool when I could not swim, and almost drowned. I was constantly told I would be sold. I was afraid of both of my parents. When I was 11 I lost half of a finger in a lawnmower accident. My siblings laughed about it. When I was 16 I was making wine and selling it to classmates. I got high marks from grades 7 to 9, and then barely made it through high school because of drugs and alcohol. I got my private pilot's license when I was 18. I soloed an airplane after 7.2 hours of instruction. The average is about 15 hours. At 19 I rode a 10 speed bike from Vancouver to Halifax, over 4000 miles. I was in many newspapers and on national TV. I met my first real girlfriend, and she broke my heart. At 20 I got my commercial pilot's license and let the same girl break my heart, again. I bought a 1946 Aeronca Chief airplane. It had 65 horsepower, and no electrical system. To start it, you had to flip the propeller by hand. It had no radio, and no navigation equipment except a compass. I flew it from Vancouver to Acapulco and back. 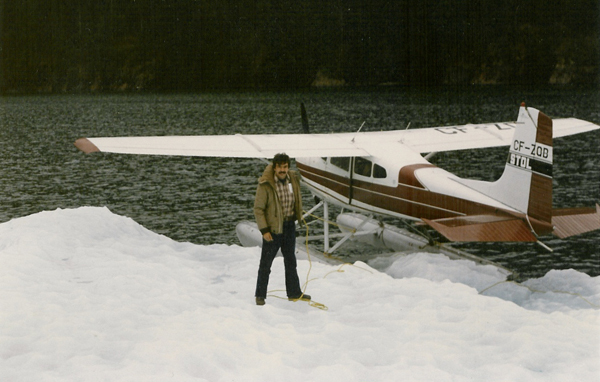 I could not get a job flying, and worked in Labrador on a survey crew, which included working underground. I accidentally did some acid and had a bad trip. 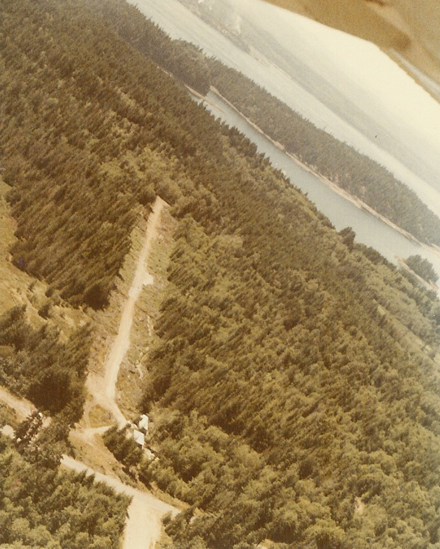 About 6 weeks later I had an acid flashback while flying my tiny plane with a female passenger. We were flying in the mountains and yes it was terrifying. To get more experience flying, and for adventure, I flew my little plane to Mexico again, and later to The Bahamas. I flew it to the Yukon, and got a job there as an aerial photographer, and we flew all over the Yukon and also northern Alaska. The next year I got my first flying job, flying in the bush in Ontario. 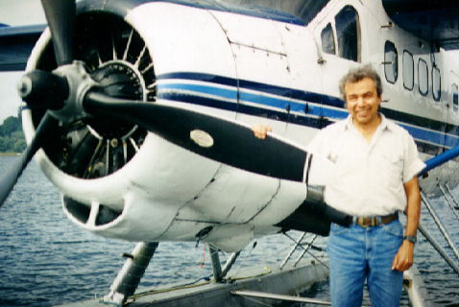 I later flew out of various communities on the coast of British Columbia, flying float planes into remote communities. 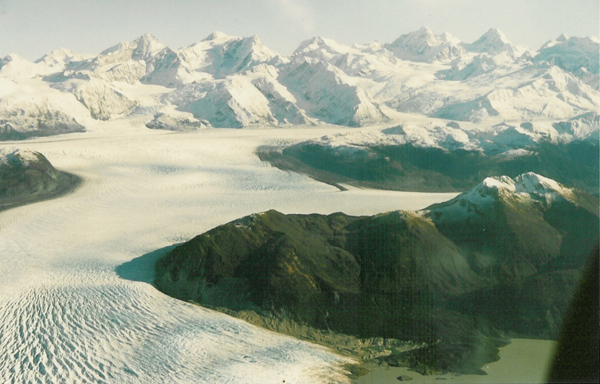 This is one of the hardest places to fly in the world. I flew for 20 years, and yes, I had close calls. Altogether, counting stupid incidents with drugs and alcohol, I have almost died 15 times. I believe I was kept alive to do the work I am doing now, with this website, and with my filmmaking. I ended my flying career with 15,500 flying hours, having done 48,000 take offs and landings. I know 8 pilots who crashed and were killed. I was an exceptional pilot. I bought a more modern plane and flew it to Mexico a couple of times. I had an engine failure in Mexico. I also met a tourist woman there who I would later live with and marry. We had a son and later got married. 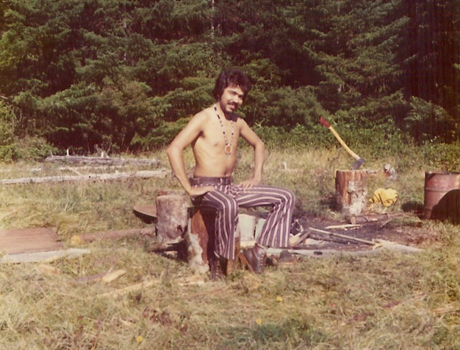 I bought 23.4 acres of land on an island, and I lived in a shack with no power or running water. I saw almost no TV for 10 or more years. 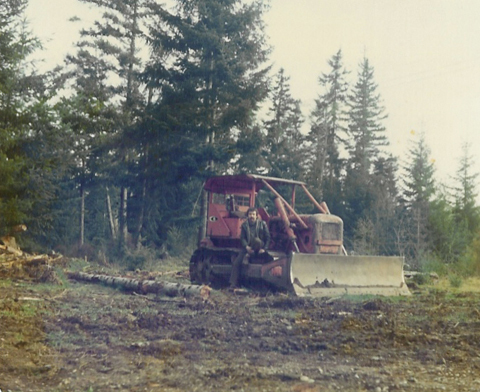 I bought an old bulldozer, and taught myself how to operate it. I also taught myself to operate a chainsaw, and built an airstrip on my land. 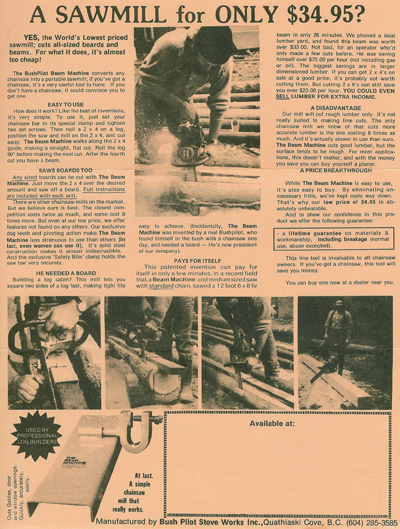 I invented a high efficiency wood heater, and a chainsaw mill attachment and manufactured them both. 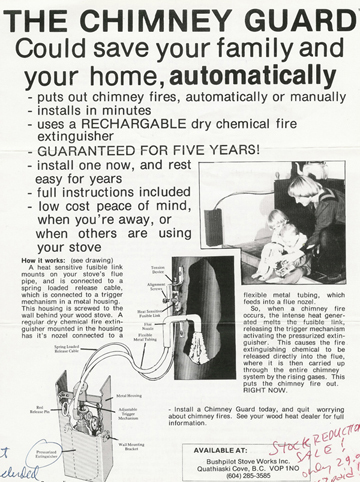 I invented other tools and an automatic chimney fire extinguisher. I have 6 patents and could have numerous more for other inventions as well. I made really good money during certain years of flying, and while manufacturing some of my inventions. My best friend died in an alcohol related accident. My wife left with our young son. I stopped using drugs and alcohol. After about 5 years of being clean and sober I trained to be a hypnotherapist. I got the highest mark in my class, and I advanced to the level where I could teach others to be hypnotherapists. I practiced hypnotherapy and produced a series of self hypnosis/meditation tapes and sold thousands of them. 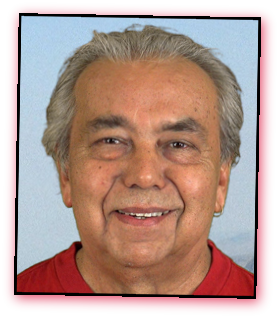 I have written two books and numerous short and long screenplays. 7 of my short films have been broadcast on TV. I have won some awards for my filmmaking. I have been clean and sober since 1984. I had sexual abuse and other traumatic memories surface in 2005, about 2008 and 2009, and I have experienced depression because of them. I am feeling much better now. I have lived in poverty, and I have been close to being on the street. I am working on a movie which will inspire some alcoholics, addicts, battered women and those who were sexually abused. I have two grandchildren and I am a good grandfather. I have been misundestood a lot, all of my life, and I am still learning to accept that. I have a good heart, and I care about people. Being gifted is a blessing, and a curse too. Some people think I am weird, and I have a sister who said I am mentally ill, which hurt a lot. 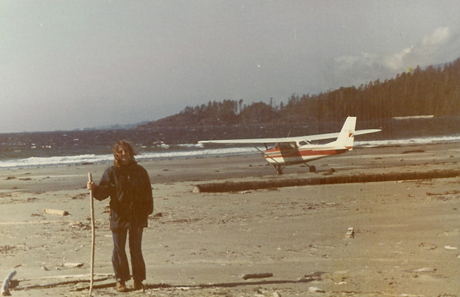 My second plane, a 1966 Cessna 172, on Vargas Island BC, with Martha, a girlfriend at the time. She later broke my heart. I was about 23.
about 2 months when I took this photo. Me standing on a small iceberg, Alaska. Two of my inventions are below. I have about 25 inventions. I was introduced as "The World's Most Interesting Man" before a speech. I was flattered of course. I do know that I am not ordinary. My old speeches are here. Some are funny. Some have changed lives.